An economist would ask the question; what is the price elasticity of the orbital space launch market? In simpler terms – what could the impact of space launch costs reducing but as much as 75% do to the commercial space industry. It’s easy to sit here in 2015 and smirk at historical predictions that now seem absurd but there is a deeper point I want to make. Many assumptions about the space launch industry have traditionally been based on a concept of a total limit to demand. Space was so expensive that there were only so many customers who would be willing to stump up to launch a satellite regardless of improvements to price. 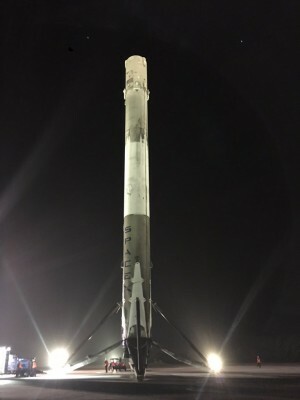 Along comes SpaceX who not only slash the upfront price of a launch but have now demonstrated the ability to land the first stage of their Falcon 9 Rocket after launching a satellite payload to orbit. With the cost of the first stage accounting for up to three quarters of the total cost for a launch it’s easy to see the possibilities this could open up. Some historical wisdom about the space launch market might suggest that even if the price were to drastically drop the traditional users of space launch (communications, weather, exploration, space station cargo) would still not substantially increase their launch demand. This disregards the possibility of new industries that many of us may never have dreamed of. Just as the future use of telephones, the attraction of the television and the ubiquity of computers were largely unforeseen the possibilities of cheap, routine access to Earth orbit could turn out to be nearly limitless. While there are already many plans by companies to exploit the possible reduction in cost for launch. SpaceX themselves have a vision to launch a huge constellation of tiny satellites to provide global internet coverage for a fraction of the current cost. There are numerous start-ups and established companies exploring models to provide global near real-time imagery data of Earth to support agriculture via a network of low-cost satellites. Watch out drone agriculture – you may be overtaken by space drones (AKA satellites). The possibilities beyond these more incremental evoloutions are even more exciting. I’m not going to make predictions but it has got me thinking…. what would I do if I had routine and cheap access to put a satellite in orbit? What would you do?